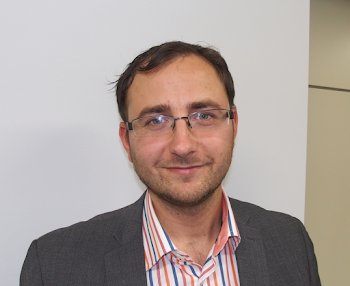 The regular readers of this blog will know that I have spent last couple of years (and hours of blogging time) pondering on problems posed by injunctions that are issued against Internet intermediaries irrespective of their tortious liability. Today, I would like to share with you some of the fruits of this work - a law and economics paper analyzing this novel type of remedy and a video of my Stanford talk which summarizes some its findings. I hope you will enjoy both of them and already look forward to your comments. Hopefully, in couple of months, I will be able to share with you the announcement of my forthcoming book on the same issue, though with a more typical legal analysis of the European situation. An injunction is usually understood as an order requiring the person to whom it is directed to perform a particular act or to refrain from carrying out a particular act. This conventional definition of injunction addresses a person who acts against the law – an infringer – and should be stopped from doing so. Such a person acts in a way that the rights of other people prohibit. Seeking an injunction is thus nothing but the request of a right holder to an authority (court) for the individual compliance of a particular person with the abstract letter of the law. Injunctions against intermediaries, based on Art. 8(3) of the InfoSoc Directive and Art. 11(III) of the Enforcement Directive , however, do not target such persons. They address by-standers who (also) comply with the law. The basis for this kind of injunction is thus not an act of disrespect towards the rights of others, but the mere existence of circumstances giving hope to right holders, that if they are assisted by such a person, they will be better off. Put differently, such injunctions want to achieve better enforcement by seeking a help of intermediaries who can do more, but do not have to, as they did all the law required from them in order to avoid liability in tort. This paper thus, as its primary goal, examines a two tier model of regulating intermediaries. A situation where intermediaries do not owe any duty of care under tort law, but are still obliged by injunctions (accountable) to provide assistance. 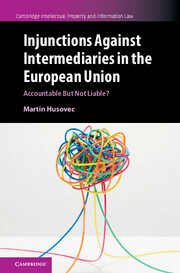 It undertakes a thorough law and economics analysis of Intermediary liability and conceptualizes the role of injunctions against non-infringing intermediaries. The analysis is structured as follows. In the first step, an economic analysis of tort law, injunctions and market transactions is used to understand functioning of the different liability regimes, such as negligence rule and strict liability (see Part 2 and 3). In the second step, the framework is applied to Internet intermediaries and the optimal legal regulation is suggested (see Part 4). In the third step, the findings are summarizes into policy lessons (see Part 5) pertinent to two currently pending debates: should the policy makers (1) replace notice-and-take down policy by the stay-down policy and (2) should they export, reform or entirely repeal the European policy of injunctions against non-infringing intermediaries based on Art. 8(3) of the InfoSoc Directive and Art. 11(III) of the Enforcement Directive.